First, I’d like to say a HUGE thank you to my dear friend Rosemarie Monaco for the two wonderful articles she contributed last week while I was away. I took the week off from work to attend a 5 day intensive advanced mediumship course that ran from 9 am to 7 pm. It was exhausting and, Yes, I said mediumship. I know I haven’t spoken much, actually ever, on the blog about the depth of my intuitive consulting practice – so now you know, and here it is. Many “intuitives,” which is what we call ourselves today, use that term because the words Psychic and Medium have negative connotations. You hear the word psychic and you think of someone dressed in far out clothing with their hands on a crystal ball, or the word medium and you immediately see The Ghost Whisperer helping legions of supposed “earth-bound” spirits cross over. Well, I’m here to let you know these are stereo-types and notions as full of holes as Swiss cheese. I’m neither kooky nor far-out. The mediums I associate with are highly credible professionals – and not Woo-Woo types at all. (I’m not saying there aren’t flakes, fakes, frauds and cons out there – ’cause there are – but you can learn to discern the difference). The 70 people I spent my week getting to know were educated and from the fields of business, finance, real estate, insurance, retired military, medicine, hospice care, clergy, and education – and I’m sure I left out a few. Nobody wore any weird clothing or acted like they were in a Harry Potter movie. They traveled from all over the world to attend this course in the NY area taught by faculty from the Arthur Findlay College in the UK. Take me for example – I’ve got a 25 year background in private banking, personal financial planning and real estate finance. I wear suits to my office, carry a brief-case, and in the past took the train to the World Trade Center to walk to my office headquarters on Water Street in the financial district. Does that sound Woo-Woo to you? Some top bloggers might say I should tread lightly regarding articles addressing this mediumship, but after the week I had at this extensive course I realized that this is who I am – and I have to write about what I know. I could do a bang-up job on a personal finance blog – but that’s not where my heart is. I’ve been intuitive and psychic since I was a kid and it’s grown into mediumship – which is the natural progression for this type of ability. I never expected nor desired to become a medium. It just started happening little by little on its own during readings 10 years ago. I’ve just begun taking it seriously 3 years ago – which is why I’m now hard at work taking development courses. For anyone who is not aware of what a medium does – here it is in a nutshell: We are the voices for those who no longer have a voice in this plane of existence. Our goal is to show that our consciousness survives the transition we call Death and that the love we felt for and from those we’ve “lost” lives on too. It’s not scary or anything like you see on television or the movies. The point of knowing our consciousness survives is to know that our physical life is only the first part of our vast education as a sentient being, and that what we do and how we live our lives here on the Earth Plane matters. So, in the weeks to come I’ll be writing more in-depth posts about Mediumship. I’ll also continue to write about changing your thinking, spiritual growth, and intuition and psychic abilities and how to develop yours. I’d like to know if you’re interested in learning more about mediumship? Would you like to know how “it” works? Please leave me a comment and if you are interested tell me what you’d like to learn about mediumship, and the other topics I cover in Powered by Intuition. Any burning questions? Let me know what they are too. If you’re not interested – let me know that too! If you enjoyed this post please subscribe and share it Twitter and Facebook. Thank you. P.S. 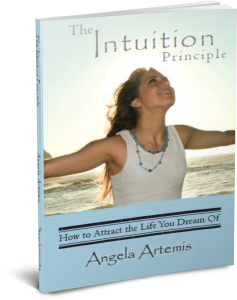 Don’t forget to get your free copy of my ebook, The Intuition Primer before you go! Mediumship Course Very Interested In Learning More! It is so refreshing to feel like I’m not alone here! I’ve always been a psychic and knew my creator before I was “suppose” to know him/her. Like you, I started to feel spirits communicating with me but because I’m extremely sensitive, it would feel like I was slipping into a trance-like state everytime! I have since purchased books, I meditate a few times a day and my goal is to have the money to take a course. I am able to start decifering what the spirits are telling me while protecting myself which is great! I no longer am afraid of death and the afterlife. One draw back is the lack of understanding from some friends and family who think I’ve gone whoo whoo! LOL! But I tell myself that they are entitled to their opinion. I know who I am and that is what counts! My Higher Power gave me this precious gift and I am truly thankful! How does one sign up for the courses? I’m so happy to meet you. Welcome to Powered by Intuition. I’m glad you’re listening to your intuition and pursuing your psychic development. You sound like a natural to me. The course is offered 1x per year as a Spiritualist Church. Email me and I’ll get all the details to you. Manal, thank you so much! I can understand why most people wouldn’t be interested in mediumship either. We are all busy living – why would the world of the dead be of any use to us? I felt the same way UNTIL I began seeing and hearing from those who’d passed on. I truly didn’t believe it was happening to me at first. I actually tried to attribute it to being psychic – able to read the energy/memories of those around me. Anyway, I’ll explain how I was convinced otherwise in an upcoming post. But, yes that’s the beauty of knowing that we “survive” death! We no longer have those mountains of fear on our shoulders about our own deaths. We actually become free to live a more joyous and adventuresome life. Thank you Manal! To inspire one is to start a chain reaction that can inspire millions! To be honest, I didn’t have much of an interest but as I followed your journey with the blog and the topics you cover, I am more curious and would love to learn more. Our goal is to show that our consciousness survives the transition we call Death and that the love we felt for and from those we’ve “lost” lives on too. Wouldn’t it be wonderful if this is how we all approach death and what comes after instead of fear and resistance? Go for it Angela and follow your heart. You are passionate about this subject and it shows through your words. I’m sure it will be of value and inspire your readers. Rosemarie, ANY TIME you want to contribute an article – I’d be delighted. And, Thank you again!!!! I was once a disbeliever. Not any more. I’ve expereinced too much evidence to tell me otherwise. And I know that Angela’s gifts are very real, she has read for me. No hocus pocus, the real thing! Rosemarie, What a wonderful testimonial! Thank you so much!! I’m really touched. I’m really glad the questions will be covered in future posts. I’m looking forward to reading them. I feel very fortunate that I came across your blog through my guest post at Change Your Thoughts. This is an area that is extremely interesting to me. I look forward to learning a lot more. Hooray! Any one dedicated to meditation – speaks my language Greg! I just left a comment on your excellent blog. Have you ever read anything by John Randall Price? If you like the Hicks – check him out. He’s pretty brilliant in my opinion. If you do pick up any of his stuff let me know what you think of it! I think this is an absolutely fascinating subject. And I think it’s great that you plan on focusing more on it here in the future. I’m very confident that this is going to work out extremely well. I’m a big fan of the work of Jerry and Esther Hicks which may or may not relate to what you do. Furthermore, I’ve found that I’m getting very comfortable simply trusting my inner guidance. It’s incredible how I now just feel my way through situations. I’m also very big into meditation. 1. Do we all have guardian angels that are helping us along our life paths? Can we communicate with them? 2. Yes, I’m curious about how mediumship works. 3. 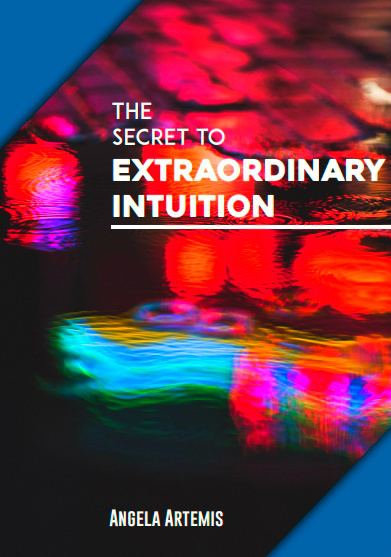 How can we enhance our intuitive abilities? I’ve personally found that meditating has seemed to really help me with this. I’m glad I connected with you and your work through the Change Your Thoughts blog! Hi Greg, welcome to my blog and thank you for visiting! As a former meditation instructor – you have no idea how happy it makes me when someone tells me that they’re a meditator. 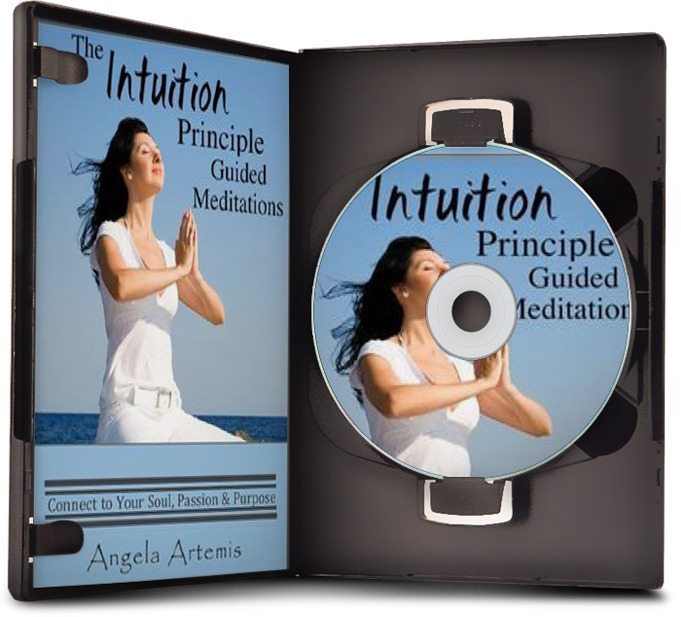 Meditation is one the key to turning on your intutition – don’t stop! Jerry & Esther are huge and their work has touched many many people. Thank you so much for your questions – I’ll definitely be answering them in future posts. I’m on my way to pay a visit to PositiveWavesBaby now! ABSOLUTELY write more about mediumship! Yes, Yes! It does appear to have a “woo-woo” reputation and it would be great for you to shed light on the real nature of it. My mother was very much into it years ago and I grew up with an understanding of it. I don’t think it’s an over-saturated topic at all and your voice would be wonderfully heard…it sounds like it is absolutely necessary for you to write more about it. Hi Aileen, I’m so glad that your so enthusiastic! I’m also happy you grew up with an understanding of it – I didn’t, but luckily my family is very open and receptive now. You’ve also hit a key point – to understand it – is to become aware that all of us are mediumistic to some degree. The more you understand about it the more you develop and realize your abilities. Thank you for commenting so positively. Angela, Thank you for this very honest post. The short answer is “No.” And it sounds as if this is a step you have to take which I completely respect. 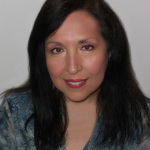 Personally, I don’t have an interest in mediumship, but I have enjoyed many of your posts and your comments on my blog. I like you very much as a person and that won’t change. So I support your following your path and will continue to do so as a friend and fellow blogger. Madeleine, thank you for your honesty and continued support. I really appreciate it. I also respect that it’s not a topic that interests you. I felt the same way until one afternoon three years ago when a visitor showed up in my living room that I knew had passed away over 30 years ago. This experience was the catalyst for my delving into this topic. I’m so glad you didn’t listen to the advice to go the “sprinkling” route. This is a topic I have a deep interest in. I have never noticed a speck of intuitive ability in this regard in myself, so if others don’t share their experiences I have no way of knowing what it is like, what they sense, etc. I’d be interested in hearing about specific experiences you have had/will have and really, anything else you choose to share. Keep debunking the myths and telling it like it is! Hi Jean, Thank you for your support! I’m glad I’ve decided to ignore the “sprinkling” advice too. I’m glad you’re interested in mediumship. I hope to bring you a lot of fresh info on this topic both from my own experiences and those of other mediums I know.